BATTLE GROUND — When he was a high school student in Beaverton, Ore., Chief Umtuch Middle School special education teacher Brad Smith signed up to be a peer tutor for students with special needs. He figured that it would be a good experience to connect with and help his peers. What he wasn’t expecting was that this seemingly inconsequential decision would entirely change his life’s trajectory. Smith soon graduated from high school and moved on to college at Seattle Pacific University. All along the way, he chose classes, internships and eventually a graduate program to prepare him to be a special education teacher so that he could help teach students and adults with autism, Down syndrome, ADHD, and intellectual and other disabilities. It’s been 11 years since Smith finished his master’s program and was hired first as an instructional assistant, and then as a special education teacher. However, about eight years ago, Smith’s trajectory was unexpectedly altered yet again. This time, he was simply sitting on a flight when he made what he describes as “awkward eye contact” with a flight attendant. While such a thing wouldn’t normally have stood out for the typically outgoing Smith, for whatever reason, the incident triggered the onset of something entirely new to him: debilitating bouts of social anxiety. Statistically speaking, it’s very likely that someone you know is affected by an anxiety disorder. The National Institute of Health estimates that 19 percent of adults in the U.S. had any anxiety disorder in the past year, and 31 percent will experience an anxiety disorder at some point in their lives. In the book, anxiety consumes the life of a young special education teacher named Michael Smith, causing him to feel hopeless and defeated. He constantly worries about when the next cycle of anxiety will strike and is desperately trying to keep it from derailing what he is truly passionate about: teaching his class of middle school special education students. Readers of “A Special Education in Anxiety” will go through a year in teacher Michael Smith’s unique and engaging class. Together, the students and teacher experience a series of positive breakthroughs and heartbreaking loss. His special needs students, as well as some unexpected adults, are key in Michael’s pursuit of overcoming his anxiety. 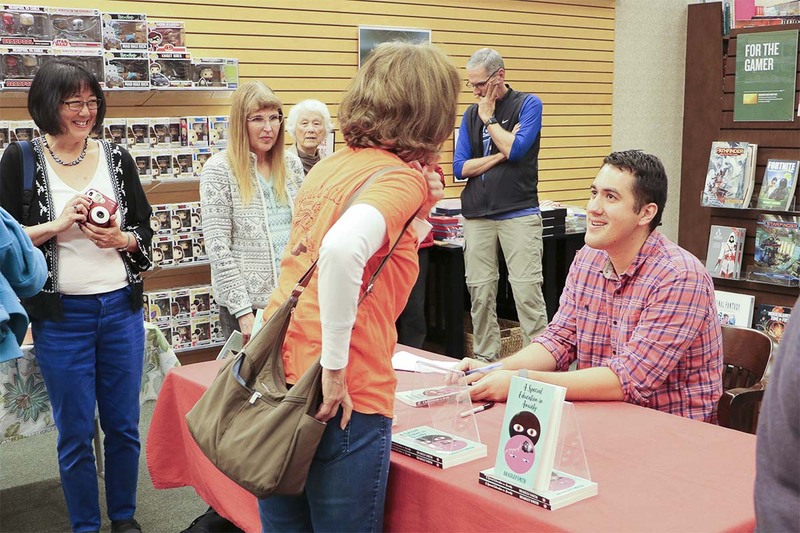 While Smith’s book started out as a therapeutic way to help him work through his anxiety, he soon realized that was only a portion of the story. After all, the first words of the title aren’t about anxiety, but are about special education. That is because the six students you get to know over the course of the story become part of the solution in helping the main character come to grips and find peace with his mental health issues, mirroring Smith’s real-life experiences. 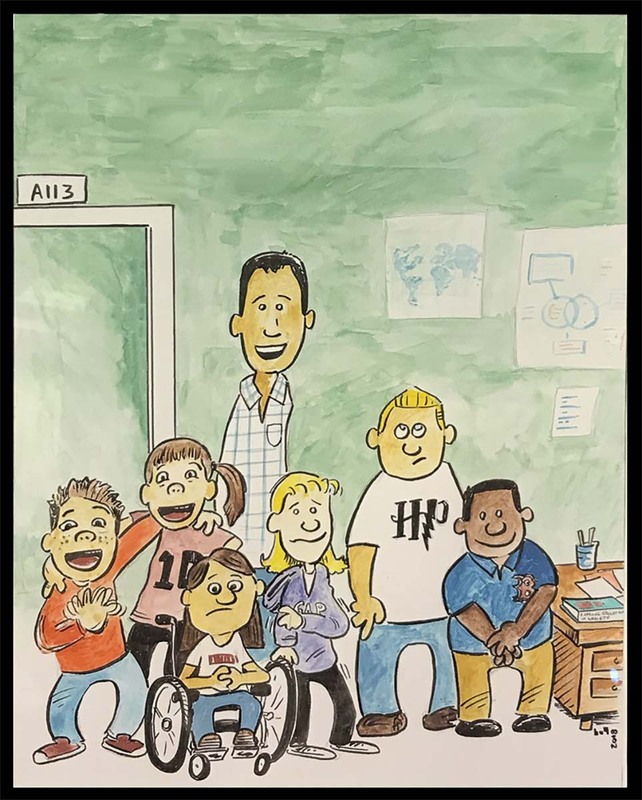 Smith’s story, both the book and his own life story, are powerful illustrations that everyone can benefit from interacting with their peers who have special needs. Such interactions are beneficial to everyone involved, and you never know: they just might change the course of someone’s life. “A Special Education in Anxiety” is available at Barnes and Noble, Amazon, or directly from Brad Smith by sending him an email.